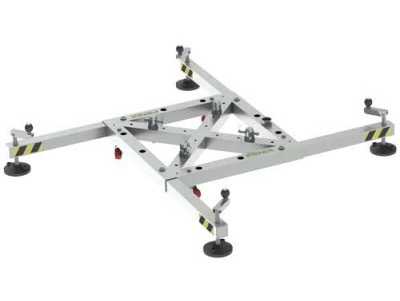 GiGstage offer a range of rigging hire accessories to complement the stage and lift tower hire options. 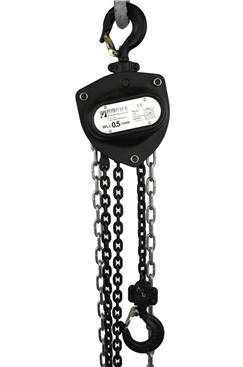 All lifting gear is tested and certified with annual test certificates. The CT-TENT is an adjustable clamp designed specifically for use with clear span tents using Keder grooved beams. 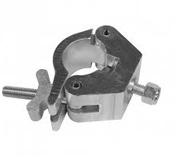 The Tent Clamp allows you to create a hang point on the support beams where no other attachment is possible. 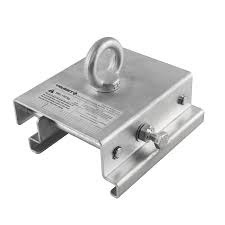 The Tent Clamp provides a safe and secure connection and supports weights of up to 150kg (330 lb). 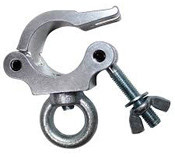 The Tent Clamp allows for a quick and easy connection with standard rigging shackles and round slings or wire rope to provide a safe connection point to hang lighting, audio, and decor elements on the beams. 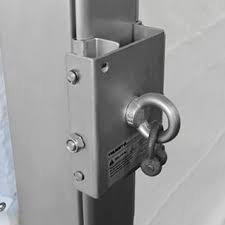 Made of zinc plated steel with a permanently attached eye bolt, there is also a built-in safety cable attachment point. Clamps onto the slots on clear span tent Keder beam to suspend lighting, audio, truss, and décor elements. 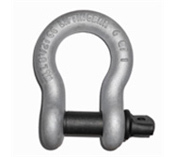 Tent clamp is made of zinc-plated steel, resists rust and corrosion. 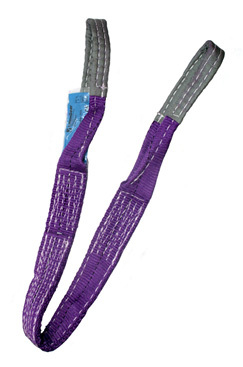 Complete with welded eye bolt, makes attaching a load easy with standard rigging hardware. 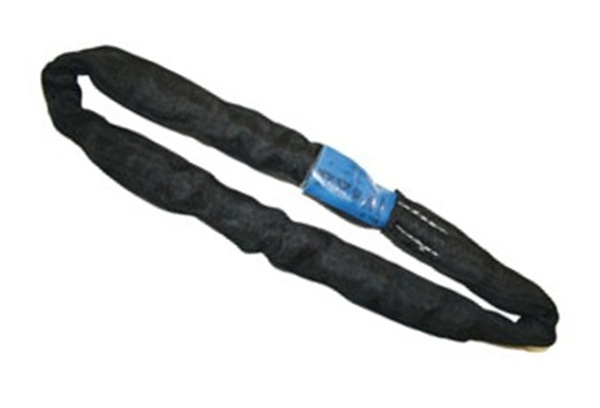 Safe alternative to multi-piece handmade clamps. 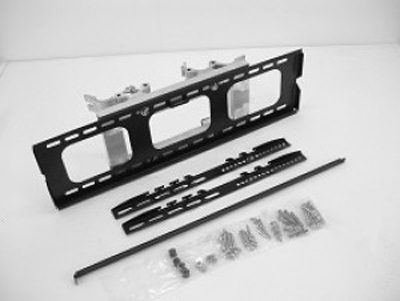 Clamps to Keder beam by tightening one bolt, makes installation quick and easy. 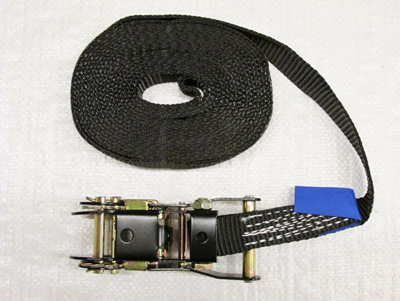 Soft end wire rope sling.